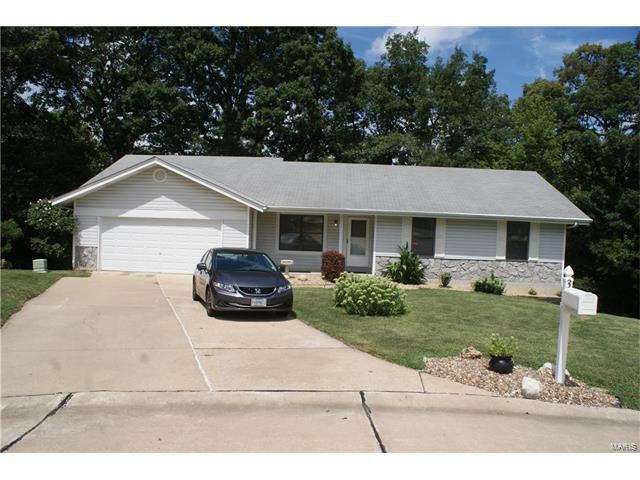 Clean one owner ranch home with complete Mother-In-Law suite including complete kitchen, family room, full bath, and sleeping area in lower level with walk out. Updated kitchen and freshly painted throughout. 3 Bedrooms on main floor, 2 full baths, open kitchen with center island, living room, and great room with wood burning fireplace. Two outdoor decks overlooking mature trees. Plenty of room for everyone in this home. Great for entertaining. Muegge Road to East on Graystone Drive to Left on Stoneway Court to Home.